OTTAWA -- Canada's politicians will soon have a crisis line they can contact should their email accounts come under cyberattack leading up to the next federal election in two years. The cyberthreats crisis line is part of a previously announced election integrity initiative orchestrated by Facebook Canada in response to a report from the Communications Security Establishment (CSE), which predicted Canada is "very likely" to be the target of hackers before the 2019 vote. 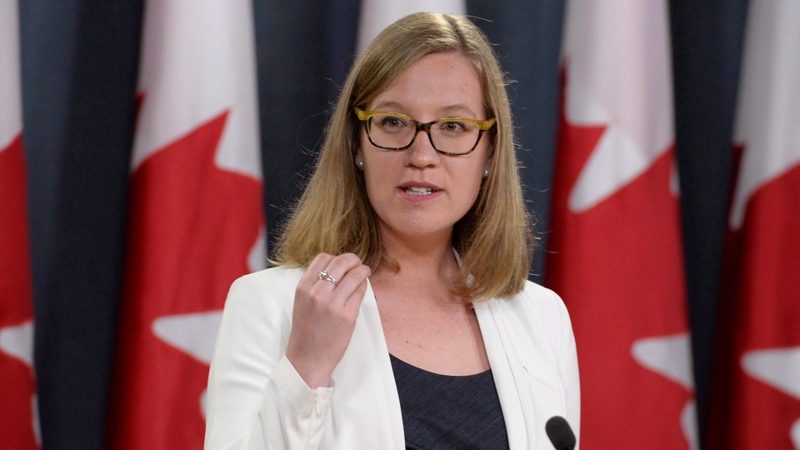 New details about the initiative were unveiled today during a livestreamed panel discussion that included federal Democratic Institutions Minister Karina Gould. The initiative will see Facebook work with digital media literacy body MediaSmarts in a two-year digital news literacy partnership. The social media giant has also introduced what it calls a "cyber-hygiene guide," along with a training program, designed to help MPs and political parties keep their Facebook pages and accounts secure. The guide identifies common ways that hackers can commandeer those accounts to spread fake news or disrupt political messaging. Facebook has come under fire for its role in the November 2016 U.S. presidential election, and revealed this week that Russian agents used the social network's Messenger platform to interfere with the campaign, although it wasn't clear how Russia-linked accounts were used to communicate with others. Facebook Canada's head of public policy, Kevin Chan, said the company has taken the CSE report, issued earlier this year, to heart in trying to arm politicians with the information they need to stay on top of cyber threats. "We know that Facebook plays an important role in facilitating public dialogue," Chan said in a statement. Facebook announces the Canadian Election Integrity Initiative. Watch Live from Ottawa! "That's why we take the threats identified by the CSE very seriously and why we're starting now to proactively address them." The spy agency warned in June that bad actors are targeting political parties and politicians through traditional and social media to coerce, manipulate, or publicly discredit individuals, manipulate and influence public opinion and reduce trust in the democratic process. Facebook has more than 23 million subscribers in Canada, just a fraction of the roughly two billion people who use the service worldwide.